We’re finishing our Vacation to 1965 through the feminine eye just in time to celebrate Martha Reeves’s 74th Birthday. And who wouldn’t want to end the trip in Motown Studio A, Circa 1965 with the latest and greatest Holland-Dozier-Holland composition handed down to Motown Royalty. It really would have been interesting, as this softer take and emotionally later in the stage of dysfunctional relationships take on the theme of “Nowhere To Run” makes far more sense in the theme of Motown following up a hit record with thematically similar successful records. 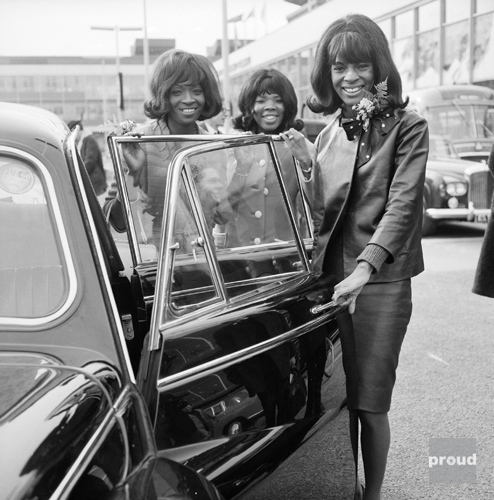 It also does push The Vandellas to a more modern, less horn-laden environment that would have put them on the cusp of where Holland-Dozier-Holland would take all of the acts they produced in the 2nd half of 1965. There’s the same strut here that The Supremes “Mother Dear” has, and wouldn’t actually surface on a hit single until “I Hear A Symphony” was released in October of ’65. As Martha, Rosalind and Betty were tirelessly busy between January and July of ’65 (As did Brenda Holloway and The Marvelettes as well), recording nearly 2 LPs worth of material, it’s one of the sadder artistic legacies of Motown’s glory years. As so much attention was focused on The Supremes during that year, the sparkling artistic legacy of a lot of other women at Motown got temporarily, if not permanently, sidelined in that process. Thankfully over the past 50 years we’ve been exposed to an expansion of the wealth of artistry that all women at Motown created during the peak of the label. Spend some time with Martha today, you’ll definitely be glad.